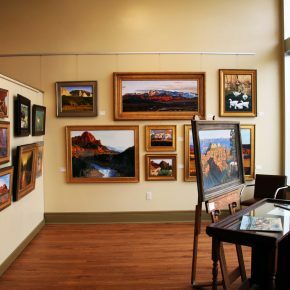 Brought forth through months of hard work by the Southern Utah Art Guild, the Arrowhead Gallery ETC is a vibrant new addition to the pedestrian-friendly array of galleries in St. George’s flourishing arts district. “It’s going to be a fun venture for the artists and the community,” SUAG board member Michael Zabriskie says. The gallery inhabits an arts and entertainment complex anchored by the Electric Theater, restored and reopened in August 2015 after a $3 million investment by the City of St. George to entice locals and tourists alike to the historic downtown area. Its name pays homage to the Arrowhead Department Store, tenants of the building from 1941 through the ‘70s. The guild’s lease of the building is supported by the participating artists as a co-op. 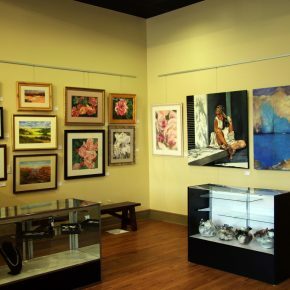 Consequently, Arrowhead depends less on sales than other local galleries, allowing the committee to look beyond the market and take a little more risk in what is hung on the walls. 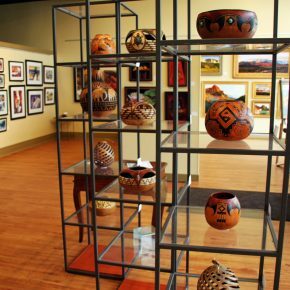 The resulting display leans more toward the abstract than the traditional, with mediums such as painting, photography, ceramics, jewelry, sculpture, and decorative gourds represented. The layout was supervised by a six-person hanging committee. It will rotate several times a year to give every artist the opportunity to occupy a different space, with two or three featured in the window display. New artists will be allowed to join every six months. The seven adjoining studios, which are typically open to the public during business hours, provide visitors with a glimpse of the artistic process. Board member Jo Ann Merrill hopes to further the gallery’s association with the university to involve and support art students. She also plans to organize workshops on a regular basis. The next, featuring renowned local artist Roland Lee, will focus on landscape painting and is scheduled for Feb. 25 and 26. More information on upcoming SUAG events can be found at southernutahartguild.com. “I think we’re going to bring a lot to the downtown area,” Merrill says. 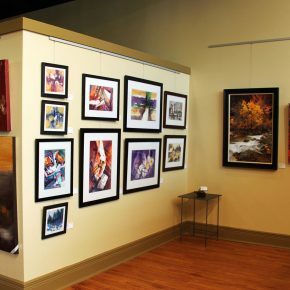 SUAG was created approximately four years ago from a small group known as the Visual Arts Association and has grown from about 15 members to nearly 200, all of whom are permanent or seasonal residents of the St. George area. This diverse group includes a 22-year-old college graduate, a 92-year-old World War II veteran, and many professional and amateur artists in between who create in virtually every style and medium. They are united by their passion for and commitment to art. 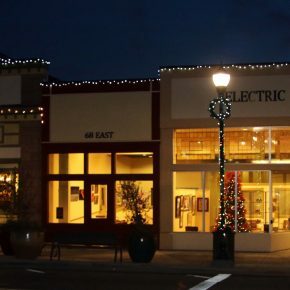 The Arrowhead Gallery ETC, located at 68 E. Tabernacle Street, St. George, is open from 11 a.m. to 6 p.m. Tuesday through Saturday, and during special events at the Electric Theater. Visit facebook.com/ArrowheadGalleryETC to learn more.